What a lovely few weeks of sunshine we’ve had which has meant busy times for #teamwilliamandmary!!! Lots of parties and weddings for all our clients and our stylists have been given the chance to express their creative sides with lots of big hair which has been a major trend this season. If you have any events coming up please pop in for your free consultation and to have a look through our hair up portfolio. July has been a busy month for all of us at William and Mary as we have been preparing for our charity day on Saturday 9th August. As you will have read in our previous blog, we are raising money for the Little Princess Trust and St Ives first school. Our senior stylist Tanya has been utilising her organisation skills and has done a brilliant job in ensuring the day runs smoothly. We only have a few slots left for blow dries and Hayley is already fully booked for file and polish. We have been selling lots of raffle tickets and have already raised nearly £400! We are so grateful that all our staff and clients have been so supportive with this event and now we all can’t wait until next Saturday. Please feel free to pop in for coffee and cake on the day, we will be having a tea party on the green with garden games for the children so you are all invited…..it should be lots of fun. Lacey has had a busy month again and has been flying back and forth from London. 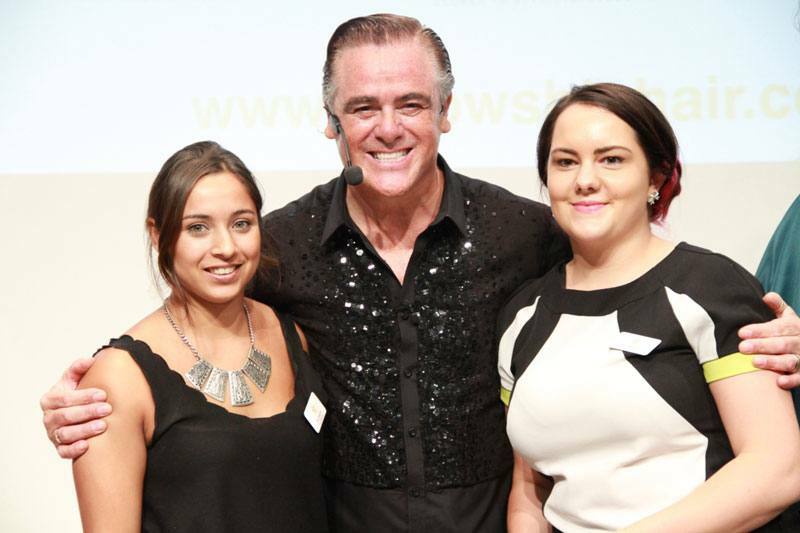 She helped out a Fellowship for British Hairdressing event with celebrity hairdresser Patrick Cameron. We so proud of Lacey, who has been giving up her free time and volunteering to help at Fellowship events. 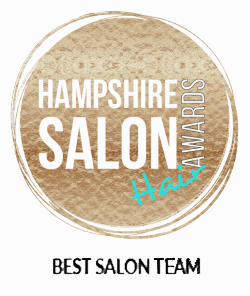 It shows true passion and dedication to hairdressing and Lacey really is a great asset to our salon. Mary was lucky enough to attend the Wella Professionals Business Network Live in July where they had various speakers including Ruby Wax and Pete Waterman. 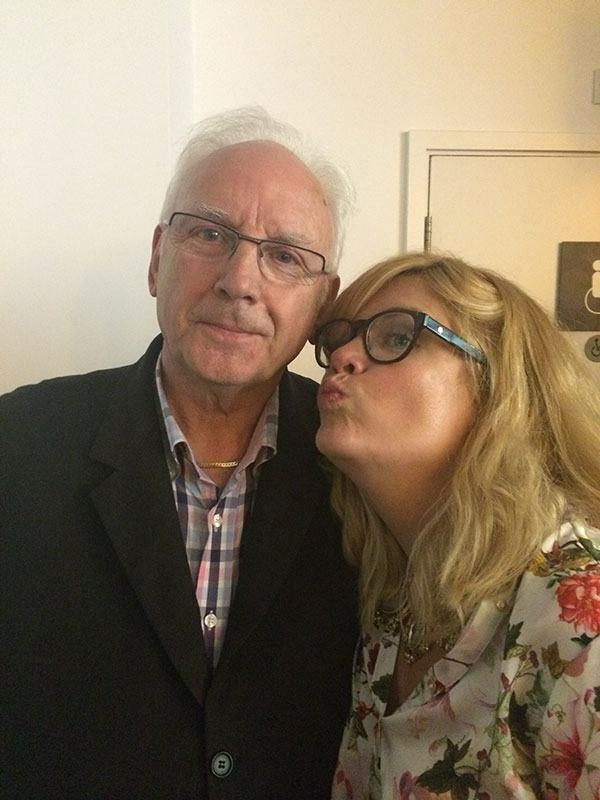 Mary went with William Guy and they both had a lovely time and came away feeling inspired and full of Wella knowledge and ideas. 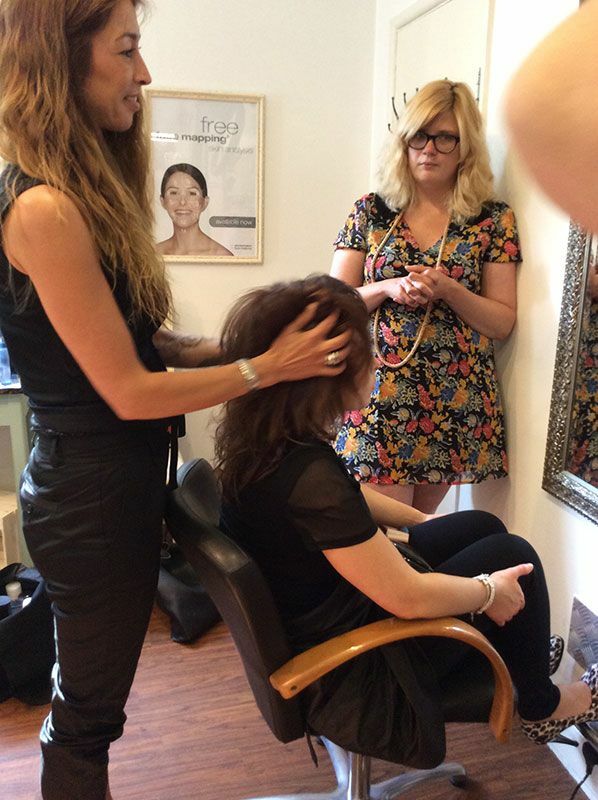 We also had Rainey from Sebastian come into the salon and give us some more training on their extensive range. We all really love the products and Rainey gave some good insight into how we can use them to their full advantage in the salon. Rainey also gave us the heads up on Sebastians new crimpers which we can’t wait to stock so watch this space. As always, we hope to see you all soon, much love #teamwilliamandmary!! !